Internists will inevitably encounter patients who refuse recommended screening and treatment, whether it's declining to obtain a flu shot or choosing not to take medication for a chronic disease such as diabetes or hypertension. Refusal can be frustrating for physicians, who likely see their medical advice as contributing toward healing the sick and improving the quality of their patients' lives. But patients reserve the right to make informed decisions about their care, even if what they ultimately decide to do, or not do, runs counter to medical advice. ACP's Ethics Manual, Sixth Edition, clearly states 3 pillars of informed decision-making, the third of which is that decisions made by patients or their surrogates must be voluntary and uncoerced. Providing information in the course of shared decision making amounts to offering alternatives, said Don S. Dizon, MD, FACP, director of the Oncology Sexual Health Clinic at Massachusetts General Hospital in Boston. Dr. Green notes the power of a second, or even third, opinion. “I encourage patients to consult with other physicians, and tell them that maybe someone else can help clarify the issue better than I can,” he said. ACP's Ethics Manual notes that decision-making capacity should be evaluated for a particular decision at a particular point in time and notes that a patient may be able to express a particular goal or wish but not have the ability to make more complex decisions. In other words, the patient may wish to receive care and get well but not be able to weigh the risks and benefits of one treatment against those of another. have known risk factors for impaired decision-making, including neurological conditions, cultural or language barriers, and advancing age. Age-related cognitive impairment can be particularly challenging. According to a study published in the July 27, 2011, Journal of the American Medical Association (JAMA), the overall prevalence of incapacity among healthy elderly patients is 2.8%, signifying a need for assessment, yet the study also revealed that physicians identify incapacity in just 42% of affected patients. The JAMA study compared several tools for assessing capacity, including the Aid to Capacity Evaluation (ACE), the Hopkins Competency Assessment Test, and the Understanding Treatment Disclosure, and suggests that the ACE, which is backed by a large clinical trial, may be the most practical for physicians to use. The ACE, which is online, contains questions and a scoring system to determine capacity when the patient faces a medical decision. It is an unfortunate reality that patients are sometimes convinced to make decisions counter to their own desires and that sometimes the “convincing” becomes coercive. 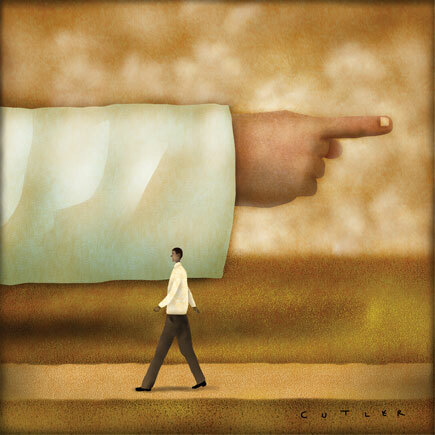 Physicians themselves can be guilty of coercion by offering only one option for care, taking a paternalistic approach to the patient, or threatening to dismiss a patient from a practice if the patient does not comply with recommendations. Such interactions may leave a patient feeling like treatment is an either/or proposition when in reality, it is anything but, said Dr. Green. A respectful attitude is crucial to ensuring that a physician does not inadvertently turn a patient off to treatment or medical care in general, said Dr. Dizon. Although patients have the right to refuse screenings and treatments, the experts agree that a simple “no” should not be the end of the discussion. This goes back to making sure patients truly understand the options that have been explained to them, Dr. Magnus added. Dr. Green noted that often it's not the treatment or screening patients take issue with, but the prospect of side effects, pain, or an impact on their livelihood or lifestyle. Primary care physicians are in an excellent position to build a case for treatment, not only because they have ready access to a patient's entire medical history and can tailor recommendations with that history in mind but also because having a long-term relationship with a patient allows them get to know the patient as an individual, the experts said. To illustrate, Dr. Chick noted a patient who arrived at an appointment extremely hypertensive but who did not like the idea of taking a blood pressure medication. The patient was proud of being able to live independently and make her own decisions, so Dr. Chick couched the need for treatment in terms that appealed to the patient's values. “I explained that my concern was that if she did not take her medication and she had a stroke, that could impair her ability to function and remain independent, which could also compromise her ability to call her own shots,” she said. Ultimately, the goal is for both patient and physician to feel comfortable in the knowledge that the decision was made after the appropriate due diligence and consideration, but there is one caveat, said Dr. Magnus. 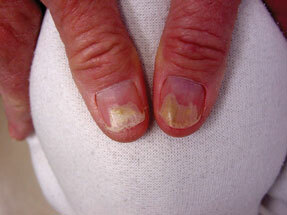 The experts agree that when patients refuse screening or treatment, detailed notes are a must. Overall, the procedure for documenting informed refusal can be similar to documenting informed consent, depending on state laws. “There are standard protocols for recording that you have gone over the options with the patient and explained the risks of not undergoing treatment or screening,” said Dr. Dizon. He added that documentation is not only for legal protection, so that there is a written record of the patient receiving and understanding the information, but for the physician's peace of mind, as well. American College of Physicians. ACP Ethics Manual, Sixth Edition. Available online. Documenting noncompliance won't protect you anymore. Nov. 12, 2012. Available online (registration required). Grisso T, Appelbaum PS. Assessing Competence to Consent to Treatment: A Guide for Physicians and Other Health Professionals. New York: Oxford Univ Pr; 1998. Howell J. ACP Journal Club. Review: several instruments are accurate for evaluating patient capacity for medical treatment decision-making. Ann Intern Med. 2011;155:JC5-12.